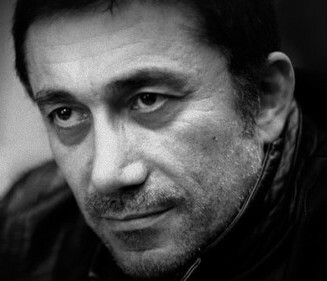 The Moon and Stars Project of The American Turkish Society is proud to co-present The World of My Father the first U.S. photography exhibition of Nuri Bilge Ceylan the acclaimed film director. The American Turkish Society, Tina Kim Gallery, and Dirimart have partnered to present the first exhibition of Nuri Bilge Ceylan's photography in the United States. Ceylan was the winner of the Palme d'Or at this year's Cannes Festival for Winter Sleep. The exhibition will explore how photography remains a foundational aspect of Ceylan's cinematic work. In The World of My Father, Ceylan turns his formidable gaze to Mehmet Emin Ceylan, a charismatic figure who played prominent roles in Ceylan's first three films, Clouds of May (1999), The Small Town (1997), Cocoon (1995). Viewers familiar with Ceylan's films will be delighted to see Ceylan's same commitment to subtle imagery in his photographs. Special thanks to Opening Reception Sponsors for their generous support.